The Donegal man has one fight left on his UFC contract and he’s unhappy with the terms on offer for a renewal. BELLATOR PRESIDENT SCOTT Coker has confirmed that the organisation would be interested in signing Joseph Duffy if his contract dispute with the UFC isn’t resolved. Duffy revealed to The42 last month that he has one fight remaining on his current deal with the UFC. However, the Donegal native is unhappy with the terms being offered to him to extend his stay with the organisation. In a subsequent interview with Ariel Helwani on The MMA Hour, Duffy said that he’ll be forced to enter free agency after completing the last bout on his contract if the UFC doesn’t improve its offer. Should Duffy become unattached, he would be a prime candidate to follow in the footsteps of the likes of Benson Henderson, Chael Sonnen and his Tristar team-mate Rory MacDonald, all of whom left the UFC this year to join Bellator. Duffy (16-2) signed with the UFC in January 2015 and has competed four times for the organisation. Three first-round wins and a decision loss to Dustin Poirier have left him with a 3-1 ledger in the octagon since his move from Cage Warriors. Coker, who is hoping to bring Bellator to Ireland before the end of 2016, confirmed that although he has yet to see Duffy in action, his matchmakers are well aware of what the 28-year-old lightweight is capable of. However, he reiterated that they won’t make a move until Duffy is officially on the free market. 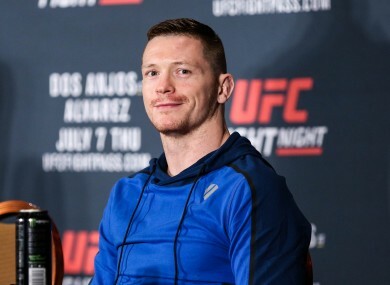 Email “Bellator will pursue Irish lightweight Joseph Duffy if he leaves the UFC”. Feedback on “Bellator will pursue Irish lightweight Joseph Duffy if he leaves the UFC”.